Alibaba went public on Friday. Its CEO Jack Ma initially wanted to take the company public in 2002, but he knew the Internet would burst. In 1999, he sat down with his team in his apartment and spoke about what the company would need to do in the next five to ten years to become a massive business. Today, we are all here to discuss what we should do in the next 5 to 10 years. So what will Alibaba become in the future? Since we are working on China Pages, I’ve always said our competitors are not domestic websites but oversees websites. Our competitors are not in China but in Silicon Valley. So first, we should position Alibaba as a global website not just a domestic website. Second, We need to learn the hard-working spirit of Silicon Valley. 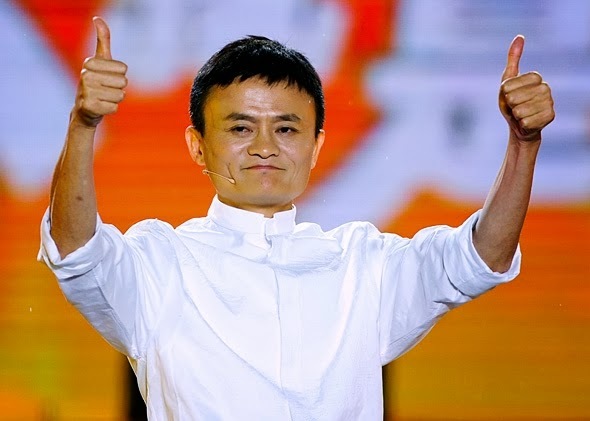 If we go to work at 8 AM and go home at 5 PM, this is not a high-tech company and Alibaba will never be successful. If we have that kind of 8—5 spirit, then we should just go and do something else. Americans are strong at hardware and systems. But on information and software, Chinese brains are just as good as theirs. All of our brains are just as good as theirs. This is the reason we dare to compete with Americans. If we are a good team and know what we want to do, one of us can defeat tons of them. We can beat government agencies and big famous companies because of our innovative spirit. Otherwise what is the difference between us and them? Everyone knows the Internet is a bubble. It keeps getting bigger and bigger but when will it burst? Yahoo’s stock will fall and eBay’s stock will rise. And maybe after eBay’s stock rises Alibaba’s stock will rise. So don’t worry. The dream of the Internet won’t burst. We will have to pay a painful price in the next 3—5 years. It is the only way we can succeed. So the goal is Alibaba will IPO in 2002.